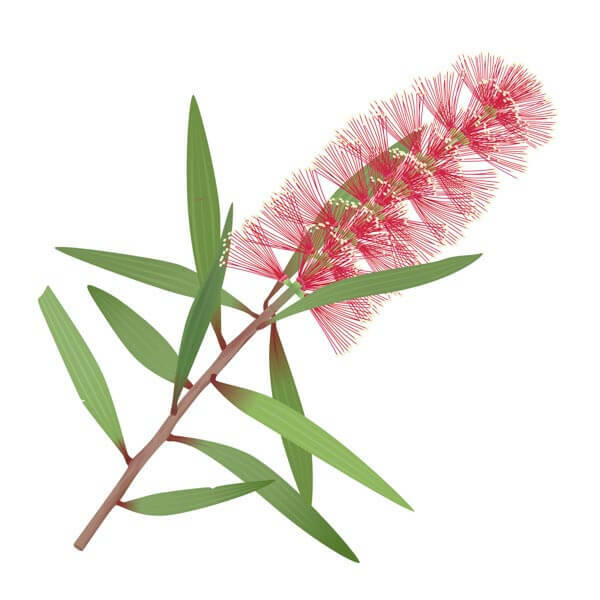 Niaouli Melaleuca possesses the benefits of Tea Tree oil, only the former is milder than the latter that is why it is more preferred to be used by those who have delicate skin. It may be gentle to skin but not on germs - it is a potent antibacterial which is effective in preventing and healing pimples. It also gets rid of excess oil on the face which usually causes acne. Niaouli Melaleuca essential oil can treat other skin disorders like cuts, wounds, bruises, insect bites, carbuncles, and boils. This oil has stimulating properties and it can improve focus and attention span. Niaouli Melaleuca essential oil can be used in different ways. Diluted, it can be combined with your regular cream and lotion and apply as usual to make skin look healthier and protect it from rash. It can also be mixed with water and use in a bath to ward off free radicals from attacking the skin. Use in a diffuser to make sure airborne viruses that can cause ailments like flu is eliminated. It can also freshen the air to make breathing easier for people with respiratory problems. Niaouli Melaleuca oil blends well with lavender, juniper, lemon, myrtle, lime, sweet fennel, rosemary, and Scotch pine. This essential oil is complex as far as aroma is concerned. It is a fantastic combination of sweet, earthy, flowery, warm, camphorous, and fresh... again, just like Tea tree.. only milder. Get Your Niaouli Melaleuca Essential Oil Now! I am so very pleased with the Niaouli Essential Oil! I have had a shoulder pain for weeks and after about four days of using this oil the pain has reduced tremendously... in fact, this morning it feels almost normal again. I have also been mixing it with some face cream and I am noticing a more healthy skin appearance. This is a wonderful product.